Peter Nyoni: Ugly scenes have reared head again, there was chaos in Harare and Bulawayo today, as protests rocked the country’s two major cities, a reminiscent of the #Tajamuka and #thisflag of the year 2016 era which happened just a year before strongman Robert Mugabe’s fall. This week’s protests have been brewing for some time, but were triggered by President Emmerson Mnangagwa’s recent overnight announcement of fuel price increase. The move pushed the already fed up citizens to the edge, with public transport operators hiking fares to cope up with increase in fuel prices. While civic organizations and labour unions were calling for a total shut down of the country. 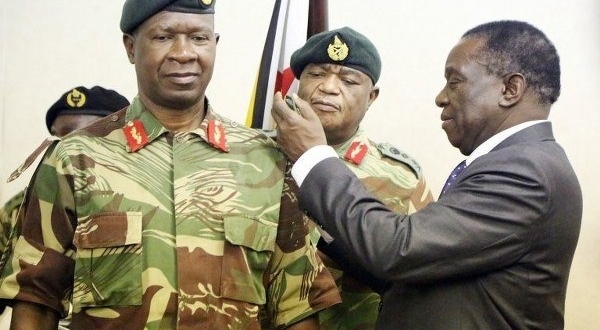 That being so, some analysts believe the move could be linked to the much talked about war between the top two, Mnangagwa and his deputy Constantino Chiwenga. This have further been exposed by how Mnangagwa ignited the fire few hours before flying off, so they say. Analysts say Mnangagwa knew that people were going to respond with protests, but did not want to be around when it happens so that he would say his hands are clean in the case the state apparatus would respond with heavy-handedness. Be that as it may, the state indeed has responded with an iron fist, with police and military deployed in some areas and resulting in some of the protesters getting injured. Commentators believe that if things were fine between Zimbabwe’s number one and number 2, Mnangagwa would have cancelled his travel and remained in the country so that he could handle such an anticipated volatile situation. Political commentator Alex Magaisa believe there could be politics at play, as had Mnangagwa not been bent on trying to set up his deputy, he would not have run away clearly knowing disturbances would erupt. Magaisa said Mnangagwa who once lied to the world that he didn’t know who deployed soldiers who killed unarmed civilians in the streets of Harare on 1 August is going to blame Chiwenga for responding to the disturbances with an iron fist while he (Mnangagwa) is away. “One wonders whether the general and his team in the security sector see the political game at play. … The boss will just say I was not around,” wrote Magaisa on a micro-blog. On the other hand information gathered by ZwNews.com in Dzivarasekwa, brings another dimension, as some eyewitnesses to the chaos that happened at Dzivarasekwa High 1 School, alleged that the disturbances started with 5 soldiers in uniform storming the school beating up teachers for coming to work when they should rather have stayed at home. “Five fully armed soldiers stormed the school in the morning and assaulted the teachers on duty asking them why they were not part of the strike,” alleged one eyewitness who identified himself as Maxwell. He added that it also surprised him that the soldiers were indeed telling teachers to join the stay away. Another Dzivarasekwa resident who spoke to this publication also confirmed the incident. Saying the teachers were indeed assaulted by the army for having had come to work. Renowned political scientist Elder Mabhunu says what it means should the allegations be anything to go by, is that there is some top officials within the security forces who are backing the stay-away. “This tells us two main scenarios one regarding the highly talked about war between Mnangagwa and his deputy. 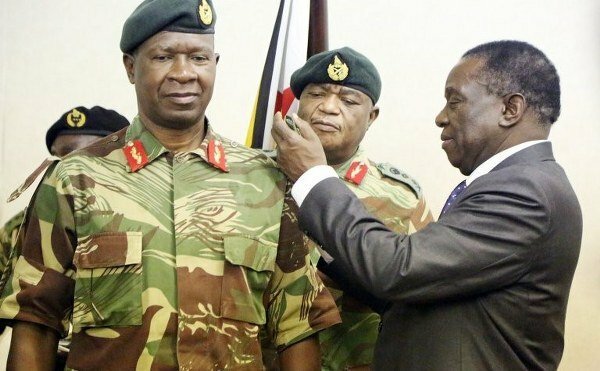 “The soldiers are said to be in support of Chiwenga and if they are also supporting the demos that means they are anti-Mnangagwa and are all out to fix him,” he said. Mabhunu says the other scenario would be that the soldiers are also fed up with the prevailing situation, and as such, were angered to see teachers choosing to support the regime by disregarding calls for a shut down. Meanwhile, reports say the two top guys are at each other’s throats, with Chiwenga wanting to topple Mnangagwa with the intention of eventually taking over. However, despite the two have been trying to conceal the alleged tiff from the public eye, insiders claim that the war between the two is real.